Adapt to all in and outdoor photography conditions by safely securing your phone/camera either to a tripod or by wrapping the tripod around a tree branch. This gives you all the stability you need to take shots without worrying about camera stability. Give yourself the freedom to shoot whenever and wherever the moment takes you by turning all outdoor surroundings into a photography studio just for you. The world isn't flat and boring, so there is no reason for your tripod to be limited to just flat surfaces. This universal smartphone holder solves this problem of the past with its bendy legs and a 360 degree rotating head, allowing you to adapt to any environment. 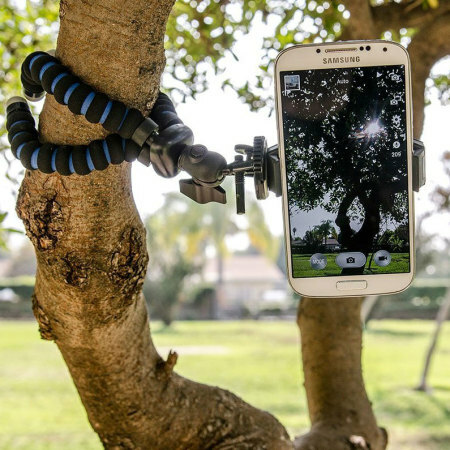 The Flexible Tripod allows your smartphone to become an unstoppable force of photo and video production. The Arkon Flexible Tripod is designed to hold your smartphone securely in place so it doesn't move while you're taking pictures. This allows you to take crisp, clear pictures from your phone with uncompromised quality. 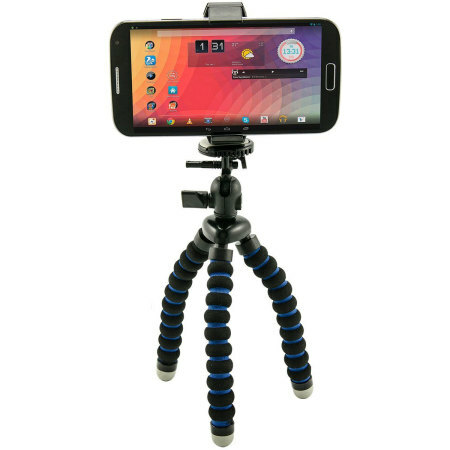 The tripod also features flexible legs so it can be positioned any way you want to help you capture the image you want - including wrapping it around a tree, fence or rear view mirror. The tripod is super compact, foldable and with its flexible grippy legs, there are no limits to your creativity! Shoot from a new perspective, give night photography a go or make a video - you have the flexibility to create any shot you can think of. 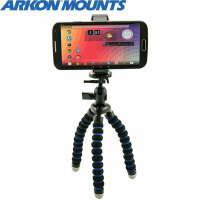 The Arkon Flexible Tripod is perfect with your favourite phone case, even if it is of a tough or rugged design. The mount also doesn't get in the way of your phone lens or filters. The flexible legs let you position your phone just the way you want it, and also provide enough stability for larger accessories like microphones. Take great shots even when you are not in great proximity to your device by combining the ultimate hold of the Arkon Flexible Tripod with the long reach of a remote camera shutter. This will allow you to make great self-portraits, group and wildlife photos. 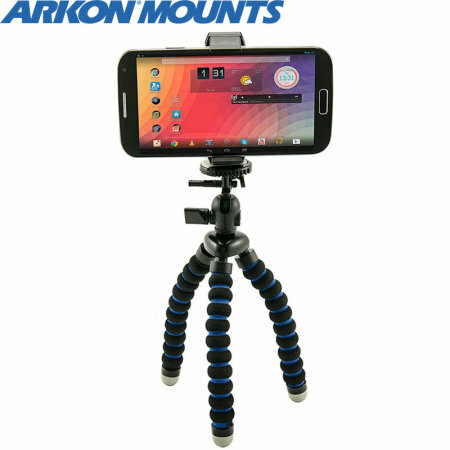 Use the Arkon Flexible Tripod for watching Netflix on-the-go or YouTube at home. Use it as a GPS stand in your car, a Skype or Facetime stand at the office or a smartphone cookbook when following a new recipe. Siri just got a sweet set of legs. The tripods unique screw design means that it works with other cameras, so it's perfect for the budding photographer/videographer in you. Simply screw your camera into the holder and it'll be securely held in place, allowing you to capture the most beautiful images and video without worrying about any camera blur.